Syriac origin, "Knesh Shahreh", meaning "a group of watchmen"
Khenchara is a village with many traditional houses and ancient churches. 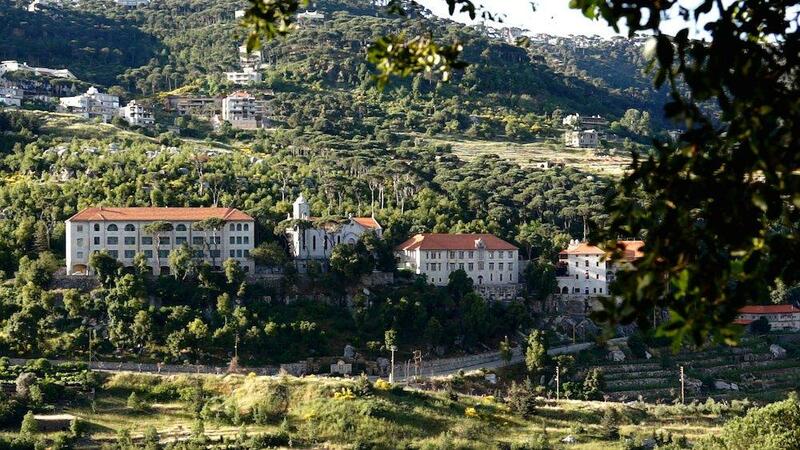 This village is home to one of the most famous convents in Lebanon, the Melkite monastery of Saint John, founded between 1696 and 1697. 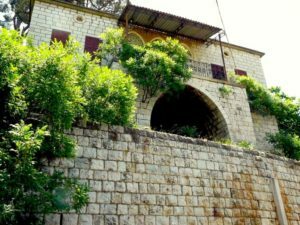 In 1733, the deacon Abdallah Zakher founded a printing press there which will be the starting point of the Arabic writing in Lebanon and the region. The convent has an antique library containing manuscripts, some dating back to the 10th century, as well as a collection of icons scattered throughout the convent. Formerly used as a barn, the small construction that stands on the hill overlooking the monastery is now a wine cellar, neighboring 15,000 vines, where a charismatic priest produces some of the best wines, but also liqueurs and cider. Hillhout: a beautiful area of outdoor activities in the middle of a pine forest, where you can make your own picnic.